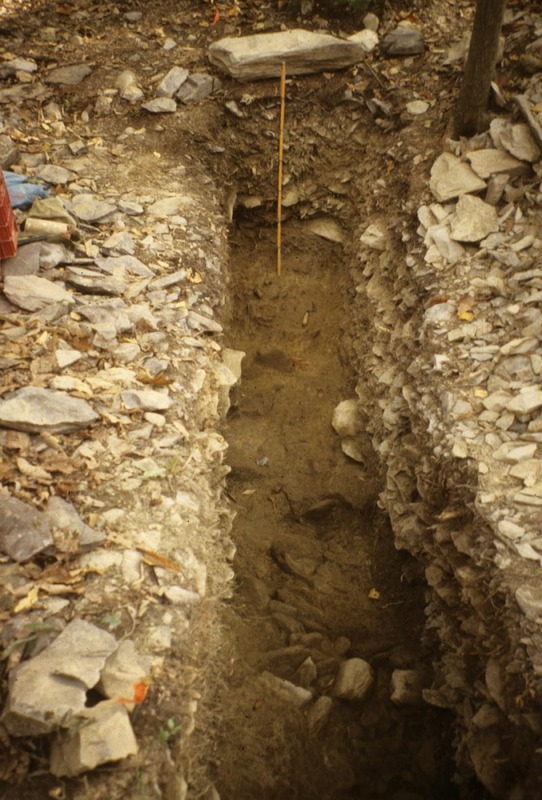 This week we begin our blog series on the examination of the archaeology of Pennsylvania by reviewing outstanding or interesting highlights of each county. Arranging the counties alphabetically, the first county is Adams. This county contains some of the most interesting and significant sites in the state. It contains a high density of archaeological sites and is seventh in the state for sites per square mile, with 320 sites recorded in the Pennsylvania Archaeological Site Survey (PASS) files. A high frequency of historic sites, (40%) have been identified in Adams county, due in part to the location of the Gettysburg Civil War battlefield. In addition, over 100 sites are located on the federally owned Gettysburg National Military Park and have been assigned PASS site numbers. For security reasons, their locations and cultural data have not been incorporated into our cultural resource geographic information system (CRGIS). The influence of the Gettysburg campaign is obviously reflected in the archaeology of this county. Many interesting sites dating to the mid-19th century have been archaeologically tested including farmsteads, taverns, urban domestic sites and battle related sites. One of the most interesting but elusive sites is Camp Letterman. Located approximately 1.5 miles east of Gettysburg along the York Road, this was the largest Civil War battle hospital. It was named for the Medical Director of the Army of the Potomac, Jonathan Letterman. The site was occupied for about six months and treated over 20,000 wounded soldiers from both the Union and Confederate armies. Normally, after large battles from this era, field hospitals were established at the nearest farm house or barn closest to the greatest number of wounded soldiers. Initially that was the case at Gettysburg but due to the extreme number of casualties, Letterman wanted to centralize the treatment of wounded. The hospital was established by the end of July 1863. 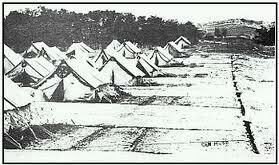 It was situated along the main railroad line so that supplies from Washington DC could be easily brought to the site. However, it was soon realized that the best treatment for the wounded was to put them on trains and get them to better hospitals surrounding the Washington DC area. This process was so successful that in all subsequent battles, the wounded were placed on trains and sent to the major hospitals in the region. Although this site has long been considered significant by the National Park Service, its exact location was uncertain. What was thought to be its general location was surrounded by commercial development and covered by a trailer park. Therefore, it was not purchased or even recommend for acquisition which resulted in further development impacts. In the 1990s, several construction projects were planned and the appropriate archaeological compliance investigations were conducted. Although, these did not produce many Civil war period artifacts, one produced a linear feature that may have been the remains of one of the drainage ditches surrounding the hospital tents. This feature contained a medicine bottle and a period button. Unfortunately, later investigations did not reveal any additional period features or artifacts. It would seem that some of the site is preserved, but additional survey is required to determine the sites overall integrity. Camp Letterman is a very significant site in American history. It represents a change in the way the wounded were treated during the Civil War. The archaeology of this site would be greatly enhanced by increasing our understanding of medical practices and life at a field hospital during this era through additional archaeological investigations. In terms of prehistoric sites, several have been archaeologically tested including two rockshelters, many plowzone sites and, of course, the rhyolite quarries. More accurately termed metarhyolite, this is a volcanic material deposited 800 million years ago and metamorphosed (folded) about 300 million years ago. Geologically, much of South Mountain is identified as metarhyolite but it varies considerably in terms of its flaking quality. It was extensively used prehistorically, especially during the Transitional period and 84% of the sites have produced metarhyolite artifacts. It does not have the silica content found in chert or jasper but it flakes well and it is available in very large quantities and in very large blocks. At least five quarry sites (link to Jan 28, 2011 and July 22, 2011 blogs) have been identified on a remote ridge top along with numerous secondary workshop sites. One of these, the Carbaugh Run site is a very large workshop site adjacent to the quarries that is listed in the National Register of Historic Places. Testing at one of the quarry sites revealed a series of extraction pits that were usually less than two meters deep but filled with mostly early stage chipping debris. The most intensive use of metarhyolite occurred during the Transitional period but radiocarbon dates place one of these pits between 7000 and 8000 years old. Unfortunately, the quarry sites are being systematically looted. The sites are owned by the Bureau of State Forests but their remote locations preclude effective protection. To be sure, looting is a crime against all citizens. Every archaeological site is like a small window into the past. Removing artifacts is like stealing pieces from a puzzle. Eventually there are so few pieces that it is impossible to interpret the picture. The number of sites recorded in Adams county does not preclude the discovery and recording of additional archaeological sites as development spreads and additional investigations are conducted. We encourage every citizen to take an active role in preserving our archaeological heritage and ask that you respect these sites and Preserve our Past for the Future. 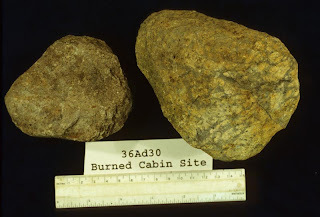 For the past year or so, we have blogged on significant topics in Pennsylvania archaeology presenting them in alphabetical order. Beginning next week we are going to blog on the archaeology of each of the 67 counties in Pennsylvania. Proceeding through the counties in alphabetical order, we will blog on the highlights of each county such as the number of historic and prehistoric sites, the most significant site or sites, the important sites that have been excavated or even famous archeologists from the county. To put archaeological sites and archaeological survey in perspective we are going to begin with an overview of our Pennsylvania Archaeological Site Survey (PASS) files and our Cultural Resources Geographic Information System (CRGIS). This will be presented by our CRGIS staff of Noel Strattan (supervisor), Tom Held and Dave Maher. ﻿Since its inception, the Pennsylvania Archaeological Site Survey (P.A.S.S.) has recorded nearly 22,000 archaeological sites spread throughout Pennsylvania’s 67 counties. People from all walks of life, professional and non-professional archaeologists, concerned citizens, school groups and other youth based organizations, have all submitted information for the recordation of sites. Pennsylvania has been occupied by people for 16,000 thousand years. Because of this, recorded sites range in date anywhere from Paleoindian times to the 20th century. Site types vary from overnight campsites to agricultural villages to industrial complexes. Each year, at the annual meeting of the Society for Pennsylvania Archaeology, Inc., the CRGIS staff produces a summary report of the recorded archaeological sites. The report details the number of newly recorded sites by county, the total number of recorded sites and the densities per square mile. If you are interested in researching or learning more about Pennsylvania’s known archaeological sites, you should spend some time searching through the CRGIS database at crgis.state.pa.us . The CRGIS is a web based map and data searching tool that provides a way for the public to view information on the known sites of Pennsylvania. The data that we collect and make available for public viewing consists of site name, site type, artifacts that were collected, nearest water sources, and environmental data to name a few. The environmental data consists of information such as if the site is located in the saddle of a ridge or if it is in the flood plain, soil types, bedrock geology, and others. Even though we do not make the site locations available to the public through the map portion of the site, we do make all of the data available through an AskReGIS search. AskReGIS is a text based query tool that allows the user to search by county, municipality, drainage, or physiographic zone. The search can then be modified to more specific criteria by clicking the “When” or “What Else?” buttons. In the “When” you can specify the time period you are interested in. 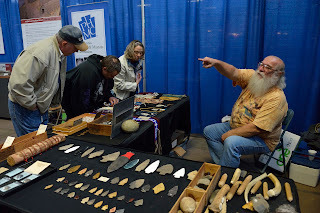 In the “What Else?” you can search by Site Name, Site Type, Topographic Setting, National Register Status, type of artifacts found, type of lithic material found, and more. The last step is to click the “Search Now” button to see the results. The information we have within the database is only as good as what we have received. If you have more information on a Pennsylvania site or know of one that is not yet recorded, please fill out a PASS form and send it to our office. We were assisted in staffing of our exhibt by twenty-two volunteers! We could'nt have done it without them. 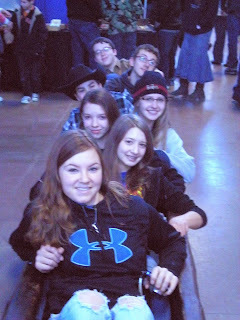 This has been a very busy week for us at the 96th Annual Pennsylvania Farm Show. 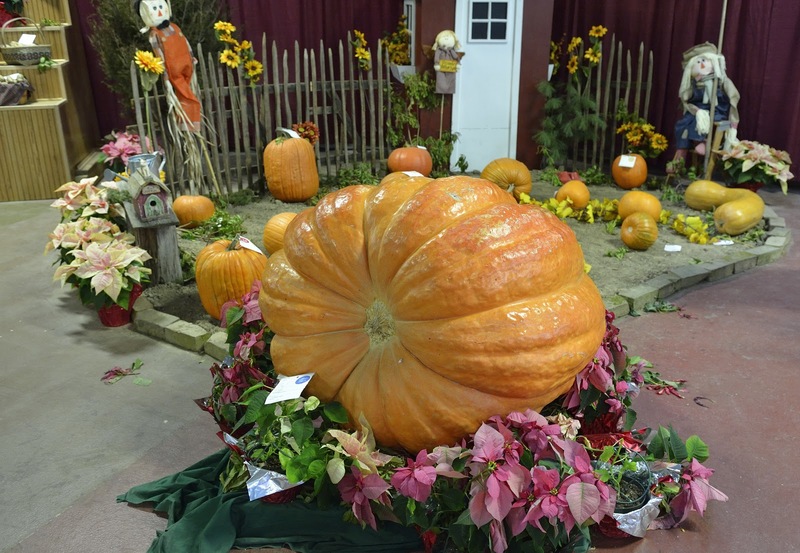 The official website of the Farm Show indicates that attendance is up 40% over last year and that there are record crowds learning about Pennsylvania’s rich agricultural heritage! 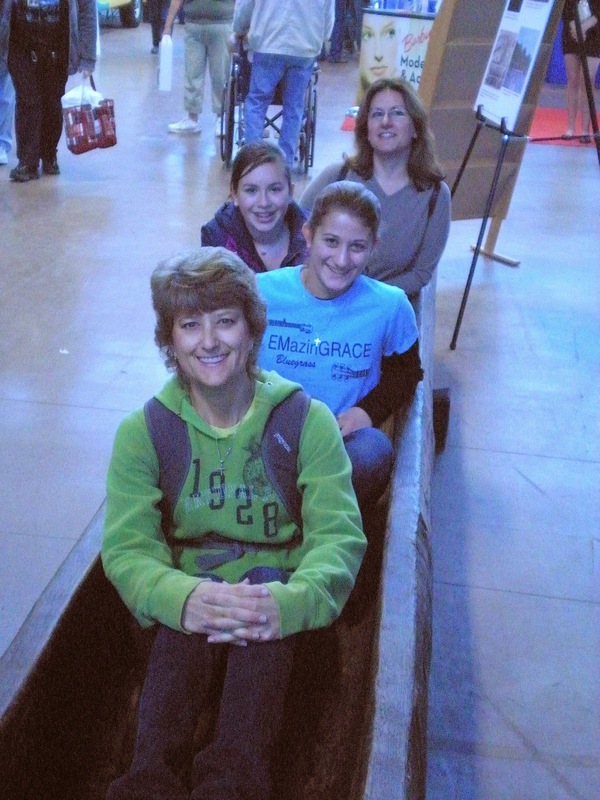 The exhibit has been well received and we’ve spoken with about 25,000 visitors from young to old so far this week. We have shared our message of the value of archaeology with everyone that passed through and had some rewarding exchanges with the public. The replica dugout canoe is once again our big hit and children of all ages love climbing in and pretending they are in another place in time for just a few minutes. Young and old alike enjoy the dugout! 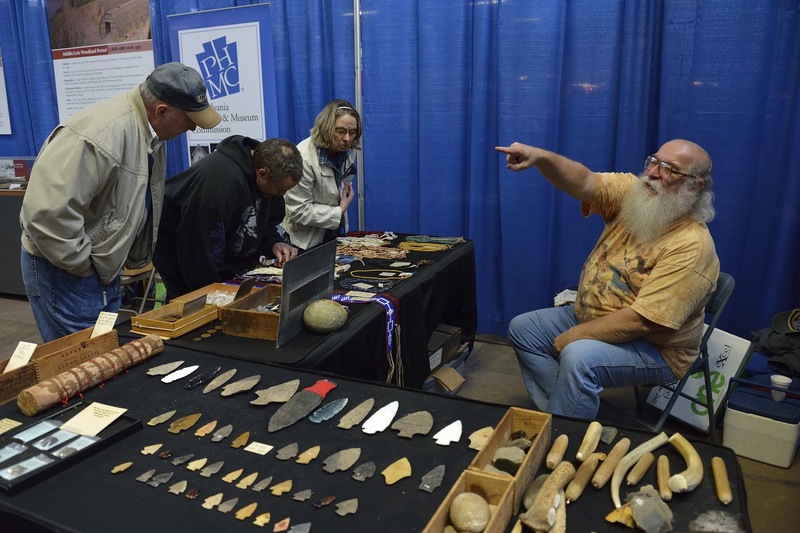 Bob Winters continues to intrigue the crowd with his flint knapping skills and colorful 18th century Native American regalia. Flint knappers Bob Winters and Brad Miller answering visitors questions. Our exhibit on Native American Foodways presents the tools used by our earliest peoples 16,000 years ago through the Woodland period roughly five-hundred years ago. 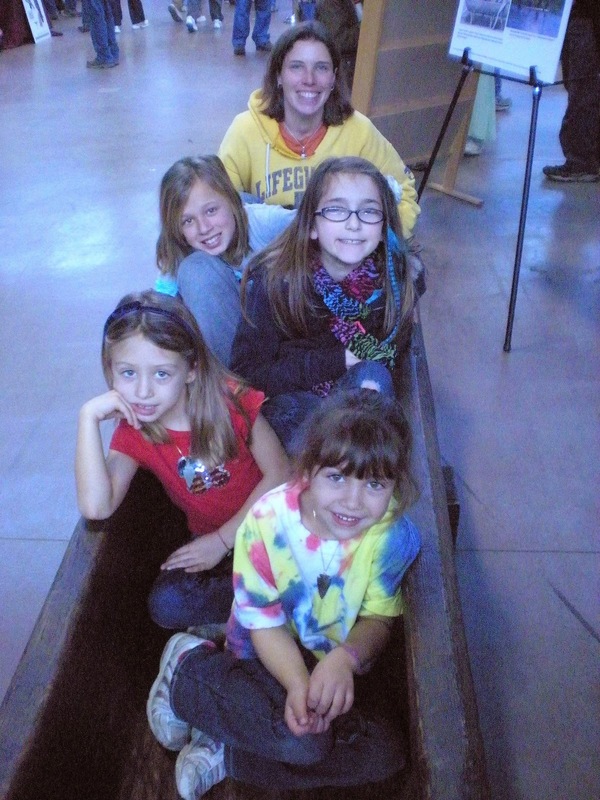 Many of our visitors are amazed that we have such a long history of peoples in Pennsylvania and that Native Americans played such an important role in the development of agriculture. One of two exhibit cases of artifacts from The State Museum of Pennsylvania in our display. Noel Strattan answers questions for our young visitors. Looking at the huge gasoline powered tractors of today and comparing this to the digging stick of the Woodland period, one has to marvel at the change in technology. The evolution of foodways has seen us progress from the hunters and gatherers of the ice age when populations were very low, to a more structured society where labor is divided and food production increases. Much of this increase in food production is the result of increased farming activities by Native peoples by developing cultigens, many of which are important food sources today. The official theme designated by the Department of Agriculture for the Farm Show this year is from Farm Gate to Dinner Plate which parallels our theme and takes visitors from the family farm to the table. Cornucopia of vegetables illustrating the abundance of produce grown in Pennsylvania. Whether you are growing food for your own home or are one of the major growers of produce in Pennsylvania, the pattern of producing crops to sustain our society is fundamental to our survival. Local farm stands supply many of us with the fruits and vegetables we enjoy, mushrooms, apples, corn, grapes, and the list goes on for these foods which not only contribute to our diet but also to the economy of Pennsylvania. Apples are one of the crops that provide an important contribution to Pennsylvania's economy. 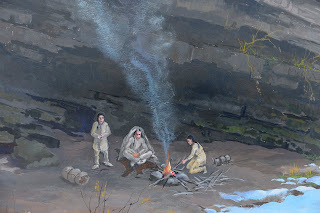 We hope you have enjoyed the blogs over the past month documenting our journey through the development of Native American Foodways in Pennsylvania and ultimately the development of agriculture. 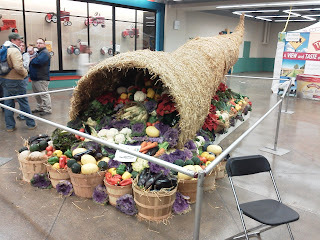 If you haven’t checked out our exhibit at the Farm Show, we are still there through Saturday, January 14th, at 6:00 pm. Come out and celebrate what farming and agriculture has contributed to your heritage. Below are additional photographs of the fun our visitors had enjoying our replica of a Native American dugout. For the past month we have been writing about the development of Native American Foodways in Pennsylvania over the past 16,000 years. From our earliest hunters and gatherers to the development of cultivating crops, Native peoples played an integral role in the development of many of the foods we enjoy today. Early settlers benefited from the cultivating of corn, beans and squash by Native Americans who shared both the crops and their methods of farming. 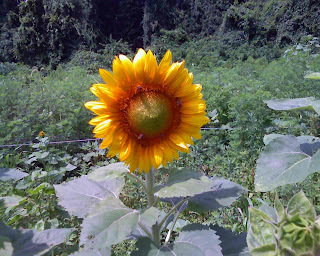 Sunflowers were cultivated by Native Americans, and later introduced in Europe. 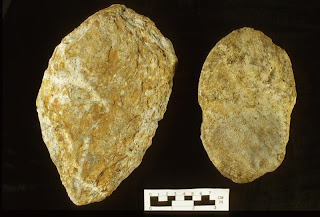 Archaeologists have examined faunal remains recovered from wells and privies of the earliest settlers and analyzed this dietary waste to interpret what colonists were eating. Shellfish, oysters, mussels, clams were an important part of their diet as well as wild and domesticated animals. Settlers hunted many of the same mammals that Native peoples did and analyses of these remains have yielded evidence of turkey and goose, deer, bear and fox. Maple sugar, sweet potatoes, walnuts and berries were woven into their diet and supplemented the other food sources. 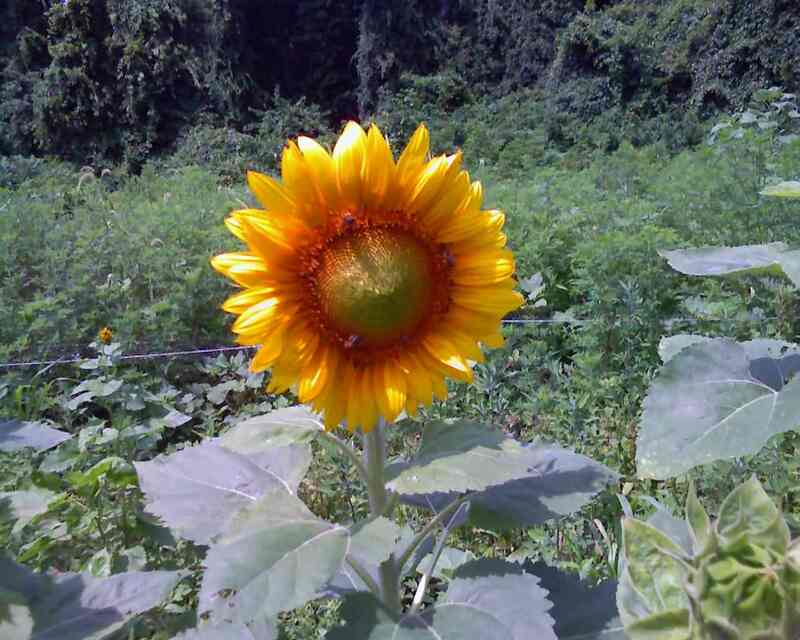 The introduction of potatoes, corn, sunflowers and squash from North America to Europe was an important contribution to their available food sources. In exchange, European settlers introduced new crops to the colonies including wheat, oats and rye grasses. 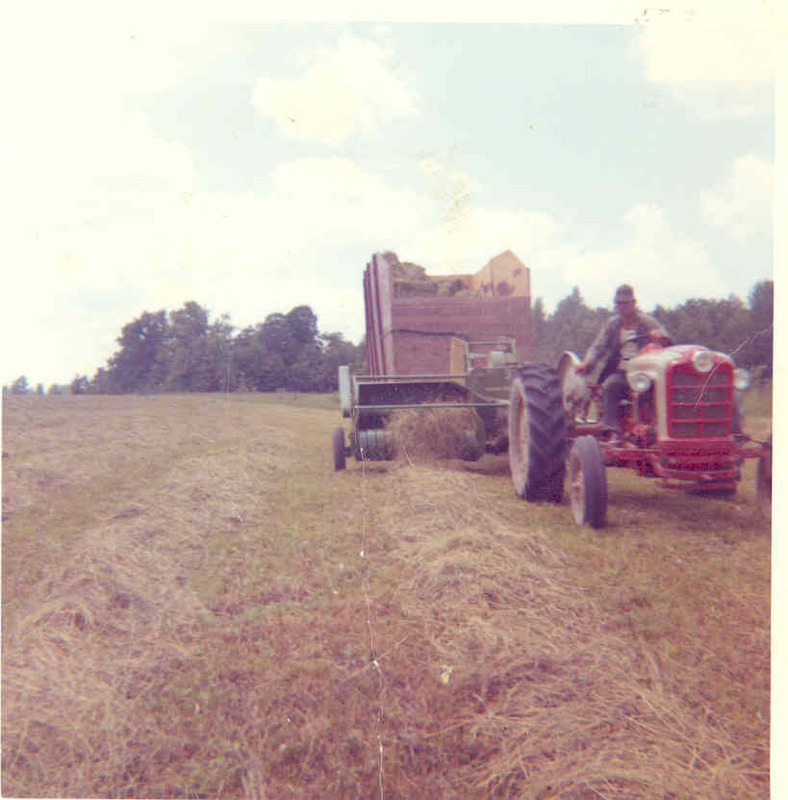 European grasses grew well in the soils of Pennsylvania and contributed to the designation as “breadbasket of America” in the 1800’s. These grasses were also fed to domesticated animals brought to North America by the colonists. Sheep were an early import from Europe and the wool produced from them was an important commodity for colonists. The introduction of better domesticated cattle from Europe to North America was also a significant event in the development of foodways for the colonists of Pennsylvania. Historical archaeologists have examined farmsteads of the 18th and 19th century researching patterns in structure design and layout. They have looked at the goods consumed on family farms, which of these were locally made and which were imported as indicators of social standing and wealth. Excavations of barn and house foundations have produced personal affects and yielded information regarding structure size and placement. By examining these early farmsteads we are able to paint a picture of some of Pennsylvania’s early heritage and the influences that culture had on agriculture. The hardy settlers of this state, the Germans, Scotch-Irish, English, Dutch and Swedes all contributed to the development of Pennsylvania as a leader in food production. The 18th and 19th century mark a period of transition from viewing food procurement as necessary for sustainability to one of agriculture and farming as a marketable commodity capable of providing food for multiple families. As populations in colonial America grew, the demand for foods increased and Pennsylvania led the colonies in food production. The industrial revolutions of the nineteenth and twentieth centuries transformed farming from small family farms into a highly specialized and mechanized industry. Popular journals and newspapers provided information on new equipment and improved methods of farm management. Food production continued to grow and as roads and canals developed the ability to transport goods to larger markets aided in the growth of farming. Agriculture changed from small plots to sustain a village or band of Native peoples to larger tracts of land capable of sustaining large settlements, sometimes many miles from the farm. Gas powered tractors and equipment further increased farm production. Today there are 2,300 food-processing companies in Pennsylvania which is the leading producer in the United States of mushrooms. Food products include canned fruit, vegetables, chocolate, potato chips, and pretzels. Heinz ketchup, Mrs. T’s Pierogies, Hershey’s Chocolate, Troyer Farms Chips, Utz Pretzels and the list goes on have all contributed to the designation as “Snack Food Capital of the World.” The Pennsylvania Department of Agriculture states that these industries generate more than $5.1 billion in sales annually! Don’t forget dairy production in Pennsylvania- ice cream, butter and cheese are also fast growing sectors of agriculture. Many of these foods are distinctly Pennsylvanian and reflect the cultural heritage of our state; shoo-fly-pie, pierogies, Lebanon bologna, and soft pretzels are regional favorites which many from south Central PA can proudly identify. 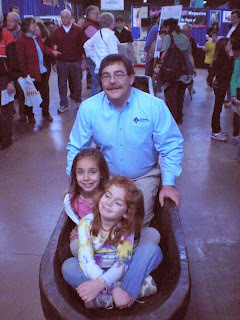 There is no better place to experience all that Pennsylvania agriculture has to offer than the Pennsylvania Farm Show. 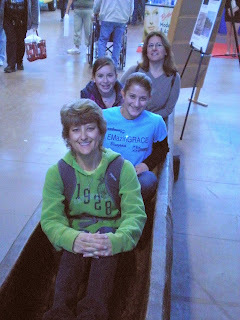 Tomorrow the 96th Pennsylvania Farm Show opens and we will be there. Our exhibit is installed and is sure to interest all of the visitors interested in archaeology and the development of Native Foodways. Artifacts from the Paleoindian period through the Woodland period are on display. Our newest brochure on Foodways is available and of course- the dugout canoe is waiting for a stream of steady visitors. Come on out, enjoy a milk shake, baked potato, fried mushrooms, maple sugar candy or any of the other delicious foods prepared from foods raised on Pennsylvania farms and celebrate the heritage of farming in our state. 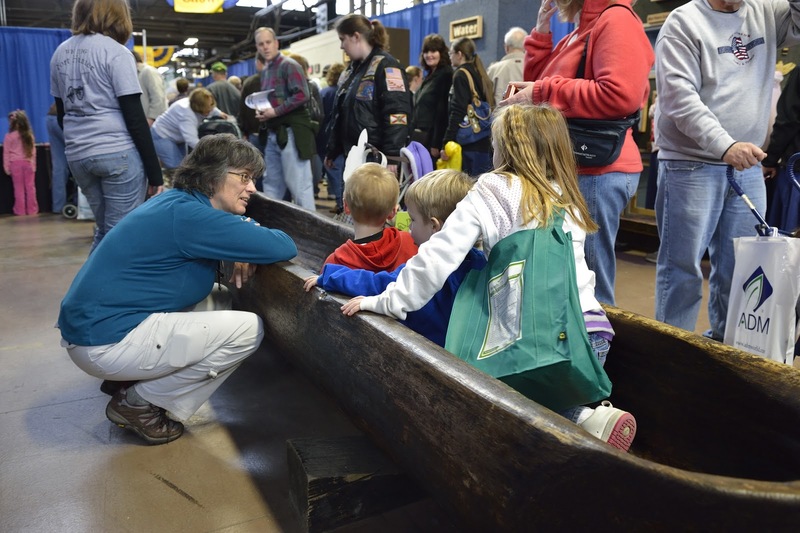 Two visitors at the Farm Show try out our dugout canoe. 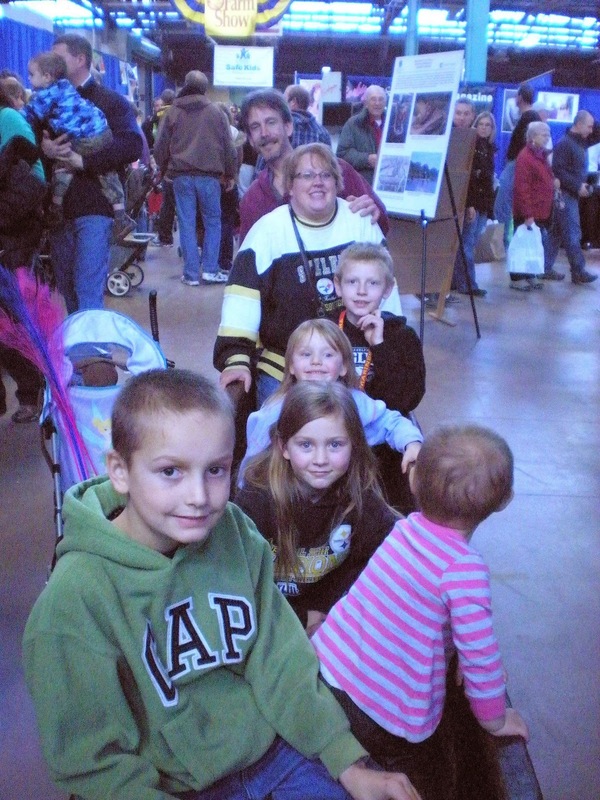 We are located in the Family Living Section not far from the carousel and the butter sculpture- Hope to see you there! January 7th - 14th Pennsylvania Farm Show, 9-9 Saturday to Friday.